Covers you for 1 year with unlimited vehicle miles, after the expiration of the 4-year / 50,000 mile New Vehicle Limited Warranty for Passenger Cars and Light Trucks (Valid only in the U.S.A. including Puerto Rico) for a total of 5 years / Unlimited vehicle miles. 5 years of BMW Roadside Assistance is included. Additional plans are available to extend your vehicle’s coverage up to a total of 6 years with unlimited miles. Each BMW has been thoroughly inspected by a BMW-trained technician. And most importantly, it has the performance, innovation, and engineering that make BMW the Ultimate Driving Machine®. 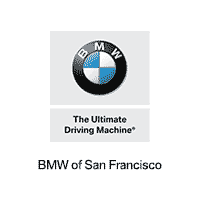 from BMW of San Francisco? BMW Certified Pre-Owned: The BMW Certified Pre-Owned Protection Plan provides coverage for 1 year with unlimited miles from the expiration of the 5-Year/Unlimited Mileage or 6-Year/Unlimited Mileage warranty. BMW Certified Pre-Owned Elite: These are newer model year, lower mileage (more than 300 miles but less than 15,001 miles) vehicles. This warranty covers you for 1 year/unlimited miles* after the expiration of the 4-year/50,000-mile New Vehicle/SAV Limited Warranty or for a total of 5 years/unlimited miles. * For Certified Pre-Owned vehicles retailed on or after January 1, 2014, up to 5 years of BMW Roadside Assistance and BMW AssistTM Emergency Call, which includes Automatic Collision Notification, and TeleService are included.